Cheese is a nutritious food made mostly from the milk of cows but also from other animals, such as sheep, goat and buffalo. During production, milk is usually acidified, and adding the enzyme rennet causes coagulation. The solids are separated and pressed into final form. 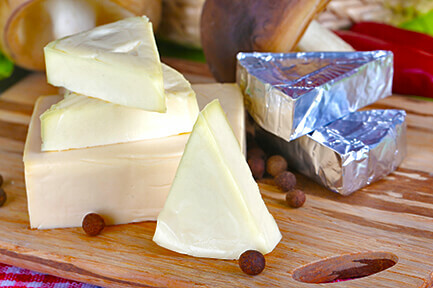 The area of Cheese covers a wide variety of products from Cottage Cheese and Fromage Frais (Quarg) to soft cheese, processed cheese and analogues. A common ingredient in many of todays retail products, the need for flexible, robust technologies is greater than ever. Differing protein and fat contents alongside your own processing setup require extensive knowledge in order to deliver the desired product.